Home > News > Product Knowledge > What is the Lubrication and Maintenance of Jaw Crusher? Jaw crushers are widely used in mining, smelting, building materials, roads, railways, water conservancy and chemical industries, and crushing various materials with compressive strength not exceeding 320 MPa. The maintenance work of the jaw crusher is also an important topic. Just like the mobile phones and computers we usually use, it is also a long-term need to be used for cherish, as well as our car, it is necessary to do regular maintenance. Yes, the jaw crusher is also the same. 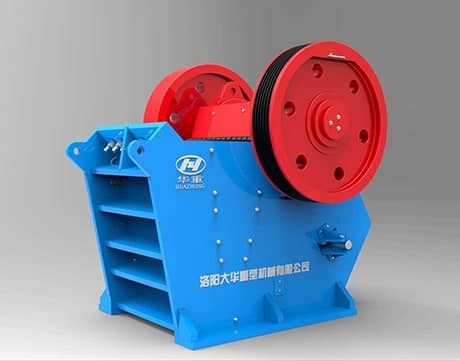 Some materials on the jaw crusher will wear out, so how to maintain it to increase its life and use effect, that is to add lubrication device. The lubrication device of the jaw crusher is that the eccentric shaft bearings are usually lubricated by concentrated circulation. The support surfaces of the mandrel and the thrust plate are typically supplied with oil through a manual oil gun. The swing angle of the moving jaw is very small, which makes the lubrication between the mandrel and the bearing bush difficult. A number of axial oil grooves are usually opened at the bottom of the axle bush, and a circular oil groove is opened in the middle to make it connected, and then dry butter is forced into the oil pump for lubrication. Previous Article：What is Crushing and Screening Process?